Composite manufacturers and composite component fabricators, the aerospace, automotive, shipbuilding and civil engineering industries and for anyone involved in the joining and repair of composite structures. Pedro P. Camanho is a Professor in the Department of Mechanical Engineering at The University of Porto, Portugal. 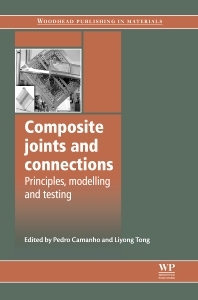 Pedro P. Camanho is widely regarded for his research into composite joints and connections including modelling behaviour, failure analysis and smart structures.